An addictive strategy game in the tradition of Sequence, Scrabble, and Othello, the Qwirkle Board Game from MindWare has a simple, straightforward premise: match tiles and win points. But the real joy of the game lies in plotting and scheming your way to victory. 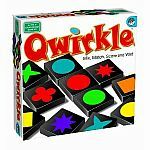 Winner of the Parent's Choice Gold Award and a Mensa Select National Competition Winner, Qwirkle is destined to be a family game night favorite. 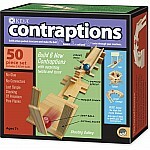 This game is designed for ages six and up and for two to four players. 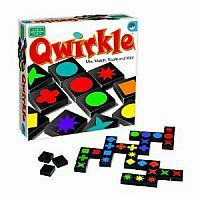 A typical game of Qwirkle lasts about 45 minutes--longer when you're first learning how to play--and players will likely catch on to the rules in no time at all. 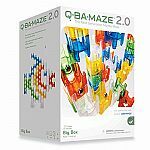 The game can be set up anywhere, although a large tabletop is best to accommodate the generous number of tiles. The only other thing you'll need is a pencil and paper to keep track of everyone's point count. Each tile has an illustration on the back (circle, eight-point star, four-point star, square, clover, or diamond). Each of these symbols appears in six different colors (red, yellow, orange, green, blue, and purple). 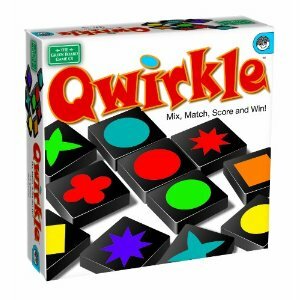 In total, the game has three tiles each of the 36 possible color-symbol combinations. 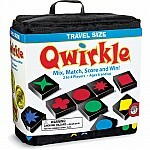 To help make sure you don't lose any tiles in between games, Qwirkle comes with a drawstring storage pouch. As in Scrabble, the game starts with players drawing their own "hand" of six tiles. The player with the most tiles that share something in common (color or symbol) plays their pieces and wins points. And so it goes until the pieces make up a giant grid. One rule adults will likely need to reiterate to little ones is that duplicate tiles don't count. For instance, if someone has three diamonds, and two of them are green, they can only count one of those diamonds for points. 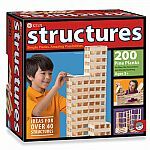 As play continues and the stakes get higher, younger kids may need some help deciding where to build to maximize their points. Our testers found that the length of the game may make younger kids squirmy halfway through. 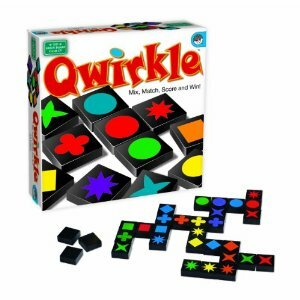 To keep them engaged, parents can always distribute half the number of tiles to start. The game is over when all the tiles have been played and all the points have been tallied.